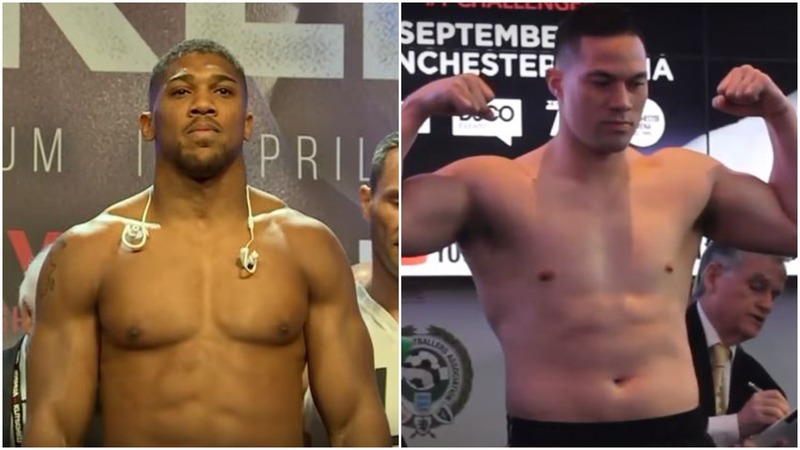 After months of talks and speculation Anthony Joshua and Joseph Parker will finally fight in a massive world heavyweight title unification bout with all details formally confirmed today. The news which was expected over the past number of weeks – took a little while to get over the line with a few final minor haggling points in the deal by both teams. But alas, common sense prevailed and today the two promoters of the event which will take place on March 31st at the Principality Stadium in Cardiff, Wales, Eddie Hearn and David Higgins, confirmed the fight. The fight will see the pair box for what is thought to be an approximate 67-33 split purse in favor of Joshua but if a rematch where to happen if Parker wins the split would move in favor of him. Joshua has sold out two stadiums in his last two fights. The last been at the same venue in Cardiff late last year when he stopped Carlos Takam inside the distance after a gruelling bout. Joshua at that time came in at a career heaviest with many wondering will he try to come in lighter this time. Especially considering Parker has already stated (along with his coach) that they are going to come in very light for this fight. Built for speed and stamina. The school of thought surely being that if they can wear Joshua down over the course of the fight and sustain his onslaught with Parker’s strong chin, that they might be able to take him into deep waters and drowned him late on. No one has done this yet to Joshua however. Including Wladimir Klitschko. Good news all round today though for the sport of boxing – unification bouts are what the sport needs more and more of.